Martha Bailey’s new book, It Hurts But I’m Okay is available and will be released today at Martha’s regular Wednesday Bible Study at The ROC of First Baptist Church, Covington. We’re all excited about the book. I have read it, of course, and it’s very good. (I could be biased as well). Martha uses stories–many of them humorous–to show how Scripture relates to life. As a pastor, I am always looking for “stories worth telling.” These stories are very much worth telling. You will find them helpful to use in a devotional that you are giving or within a sermon itself. You will find as well that this “string of pearls” will inspire you to live a life pleasing to the Lord. Martha and I were high school sweethearts. I have known Martha longer than anyone except for her siblings. She came from a life of hurts, and she has learned to live life fully by acknowledging the hurt but understanding that with a circle of friends, believers, and the Lord God that she will be okay. I hope that you will be as moved as I am by the book. It will be available beginning today at First Baptist Church, Covington, at Amazon.com, Simple Goodness (in the Covington area) and in the normal outlets. 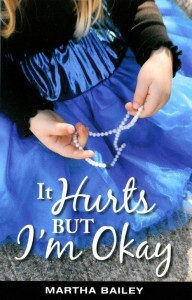 Her first book signing will be today in the ROC and Sunday morning at FBC, Covington. She will also be at Simple Goodness in Mandeville, LA, Saturday March 24 from noon to 2:00. 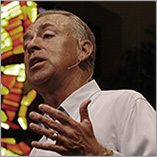 Thanks for your interest in our lives and ministries. Sounds like the application of Scripture is working for her. May we pray for those who have become isolated by losing their family, friends to death, relocation, etc. It is hard to trust after trying (perhaps multiple times) yields damage. Looking forward to her book. Thanks. The ministers of FBCC are in my prayers. Living a balanced life of work, family and devotional rest demands sacrifice, sometimes of other people being given back to the Lord. I am ordering it today and can’t wait. I know it will be wonderful, because you two are. May God’s blessing continue to flow. Thanks. My name is Barbara English. I am Betty Odom’s sister and of course Howard’s favorite sister in law. They asked me to add my name to your email list and what a joy it has been each morning to read your post. Thank you for the uplifting messages. I eagerly await each morning to see what the topic will be.